ames at University of the Pacific, Folsom Lake College, and Sacramento State with games against quality competition from teams throughout the West Coast. Offense was the key for 17u Elite as they scored 41 in 5 games en route to their 5-0 weekend. After falling behind early against Team California Bay Area in their first game on Thursday, the Warriors came back strong with hits from Teddy Hoxie, Marty Cole, and Tyler Quintanilla to cut the Team California lead to just one run in the bottom of the third. The Warriors kept rolling with six more runs in the bottom of the fourth, and four more in the fifth to go up 14-6, eventually winning the game by that score. Marty Cole had a phenomenal day on both the mound and at the plate, going 6 innings, recording 5 strikeouts, and going 2-3 with a triple and 4 RBI’s at the plate. Teddy Hoxie added two doubles with 3 RBI’s. 17u Elite kept it rolling with their second game of the night against Bulldogs Baseball in a back and forth affair. After putting up five runs in the first three innings, The Bulldogs responded with a big inning of their own, but it was not enough as Tyler Quintanilla came in for an 8 out save. 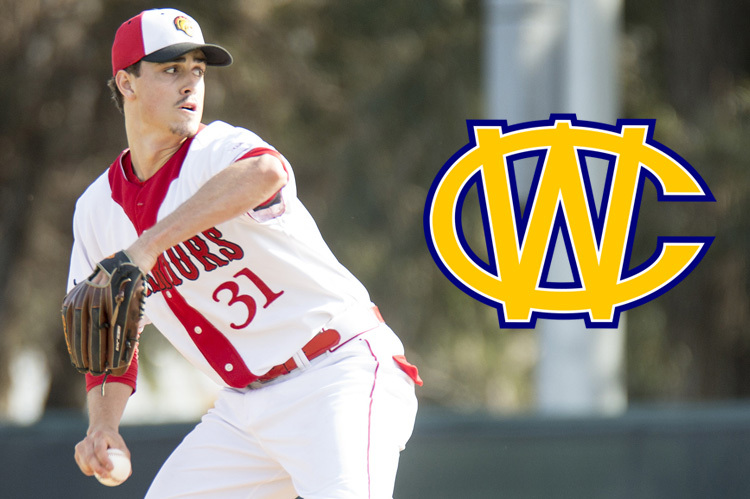 Quintanilla struck out three and allowed just one hit, clinching a 7-6 win for the Warriors. On Friday, the Warriors put up 4 early runs, which was all starting pitcher Teddy Hoxie would need. Hoxie went 7 innings with 9 strikeouts, while allowing just three hits in the shutout win against NorCal Scarlet. In the first game on Saturday, Chris Giles and Anthony Pomilia led the offense against NorCal TKB. Giles went 3-4 with an RBI, 2 runs, and 2 stolen bases, and Pomilia went 2-2 with a double and 2 RBI’s. Pitchers Tyler Quintanilla, Gremelt Balladeres, and Alex Bires combined for just one earned run on the day in an easy win over NorCal TKB. Daniel Colwell was on the bump for the Warriors in the second game on Saturday against NorCal Blue. Through four innings, Colwell surrendered just one hit while the offense put up six runs for a comfortable lead. NorCal Blue started to string together some hits and came back to tie the game in the sixth inning. 17u Elite responded with a Dane Goodman leadoff double and a Matt Calhoun knock up the middle for the eventual game-winning run. The 17u Elite powerful offense led them to a 5-0 record at the V Tool Showcase. Heading into the last couple weeks of the season, every player on the team has developed their skills and the team continues to build chemistry with each game they play. The 17u Elite’s has a couple exhibition games against the Mendocino Dirtbags and the Easton Cats before heading down to San Diego for the Phil Singer Summer Series tournament on July 28. 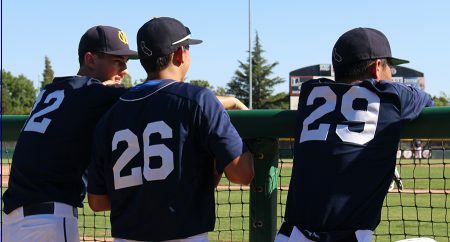 The First Base Foundation has a sophisticated and well-designed Coach Development Program that provides California Warriors alumni the opportunity to learn about what it is like to work with high school baseball players. 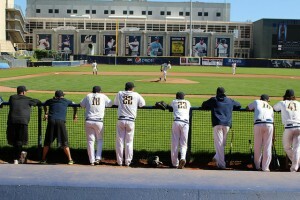 The coaching program allows alumni to learn subtleties of teaching student athletes about baseball while developing important life skills in leadership and interpersonal communication. In this context, the CW coaches can be seen as both givers and receivers. The First Base Foundation Coaching Program requires a unique level of selflessness. 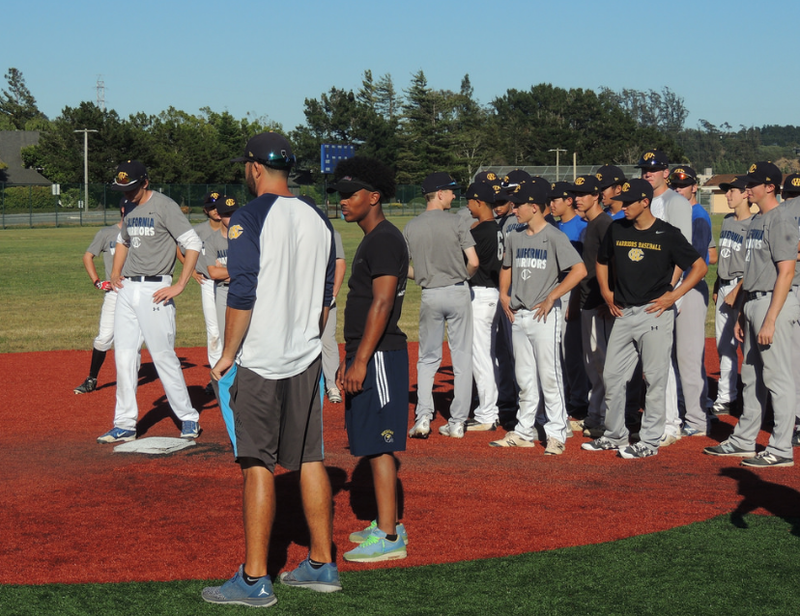 Warriors’ coaches give back and spread their knowledge of the game to the younger generation of baseball players. Every single member of the coaching staff this year has played at the college level, and are a great resource for information about the college recruiting process. Players can ask their coaches about specific experiences at the College or University they are attending and information about showcasing their skills during the summer. Each Warriors coach has his own story about his recruiting process and by sharing these recruitment experiences players can learn priceless information regarding the logistics of collegiate recruiting. 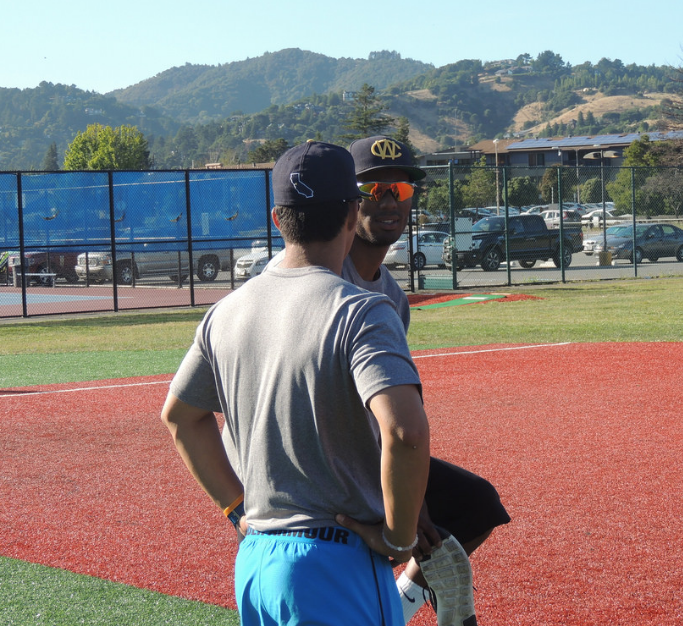 One of the most important aspects of the First Base Foundation Coach Development Program is to motivate the Warriors players in both baseball and life. Baseball is a game of failure and can be very frustrating at times. The Warriors coaches know this feeling from first hand experience as many have had their ups and downs during their playing career. Because of this, they are able to help motivate the Warriors players to become the best all around person they can be. When the coaches preach the importance of “trusting the process”, the players set goals and work tirelessly to achieve these goals exploring their potential as an athlete. This same mindset can be used for life. As coaches we continually motivate our players by teaching them how to inspire themselves to work hard and succeed. The First Base Foundation Coach Development Program allows participants to share their experiences and knowledge, while gaining valuable job experience. The FBF coaching program is an avenue for individuals committed to mentoring, building relationships, working during the summer, learning valuable lessons in team building and strategies, and wanting to build their resume and networking with others. The program also helps develop coaches through a great balance of instruction and freedom. They receive hands on instruction from more experienced coaches while earning the freedom to run their own team. Within this freedom coaches learn valuable life lessons in leadership and interpersonal communication, skills that can be used in essentially any career path. Coaches learn how to effectively talk to the whole team but will also have one on one interaction with specific players. The coaches promote a positive team attitude while simultaneously emphasizing the importance of each individual to the team. Day in and day out, the coaches are constantly learning and developing to be productive and participatory members of our community. 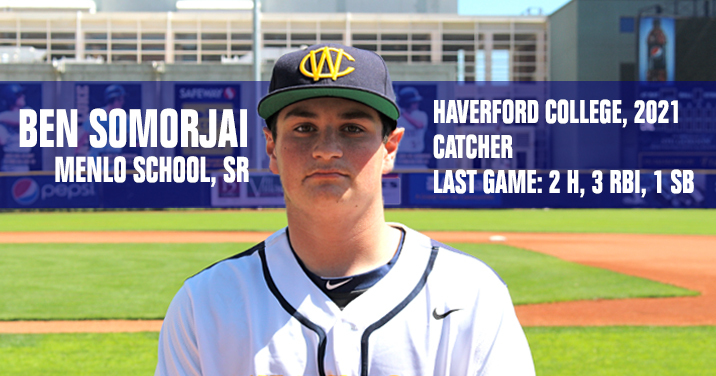 Taking home the California Warriors Alumni Player of the Week honors this week is Menlo School Catcher, Ben Somorjai. In a 10-3 win over El Camino, Somorjai collected 2 Hits and a Stolen Base while driving in 3 RBI, helping his team on their path to victory. 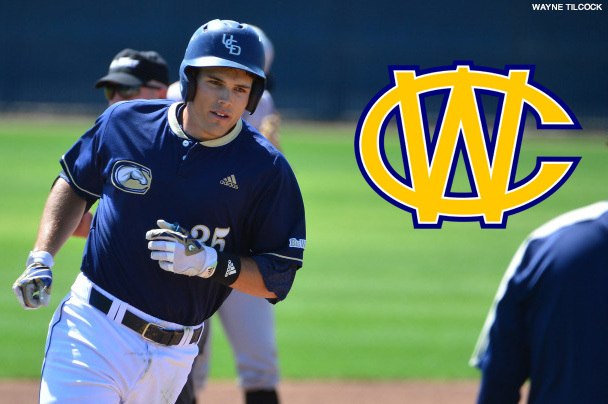 Over his past 4 games, the 2-season California Warriors alum has driven in 11 Runs, marking him as one of the top play-makers in the Menlo School lineup. To read more about the game and Ben’s season, check out this article in the San Mateo Daily Journal where Somorjai was featured. Ben has committed to play at Haverford College next year – we wish him the best in his career as a collegiate student athlete! 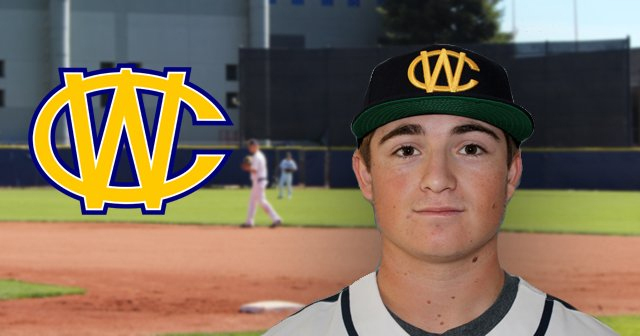 The California Warriors Gold baseball team flew up to Seattle, Washington on June 25th to play in the 18U Montlake Classic Team Camp hosted by the University of Washington. The student athletes were all given a chance to work out at Husky Ballpark on the field during the first day, taking batting practice, working out at their positions, running the bases, and talking to several different college baseball coaches. The following day, June 26th, the tournament began. The Warriors Gold were 8-1 going into the tournament and continued their success by going 3-1 while out scoring their opponents 23-15 throughout the tournament. The Warriors made sure to make a statement right out of the gate, defeating the Northshore Twins from Canada 6-0 in game 1. Mason Collins pitched a complete game, going 7 Innings and allowing just 2 hits. Gianni Bloom gave the Warriors timely hitting, driving in 3 runs while handling the catching duties. The Warriors then played Taylor Baseball, the host of the tournament, capturing their second win of the day. Jack Harris started on the mound, getting through 3 innings before Michael Prazsker came in for another 3 innings of relief. The Warriors were down 2-0 until Christian Merriwether had a clutch two out, two run single to tie the game in the bottom of the 5th inning. Gianni Bloom continued to produce offensively, driving in the go ahead run in the bottom of the 6th to give the Warriors a 3-2 lead. Colby Morris came in to get the save in the 7th ending the game on a tailor-made double play to second baseman Marcus Chiu. After going 2-0 on day 1, the Warriors had a rough start to game three of the tournament the next day, making two untimely errors leading to an early 7-2 deficit. Although lacking momentum, the Warriors never gave in. Going into the top of the 7th, the Warriors were still down 7-2 but stayed aggressive at the plate. The Gold team was able to score 4 runs in the inning, thanks to a 2 RBI single by Michael Praszker to keep the rally going, but ultimately fell short, losing 7-6. The loss put their record at 2-1 and in a 3 way tie for first place in their bracket with Taylor Baseball and the Spokane Expos. On June 28th, the Warriors played the West Coast Clippers after receiving the 2 seed out of their bracket, playing in the game for 5th place out of 16 teams. Colby Morris started for the Gold team, pitching 3 innings before Michael Praszker came in for relief and pitched 4 of his own. At the end of 7, the score was tied 6-6. Warriors first baseman Sam Reinertsen went 4-4 at the plate with 2 singles, a double, and a triple, carrying the Warriors’ offense. His double came at the perfect time, driving in two runs in the top of the 8th to give the Warriors an 8-6 lead. Jack Harris took the mound in the bottom of the 8th to get the save, securing the Warriors’ third win of the tournament. 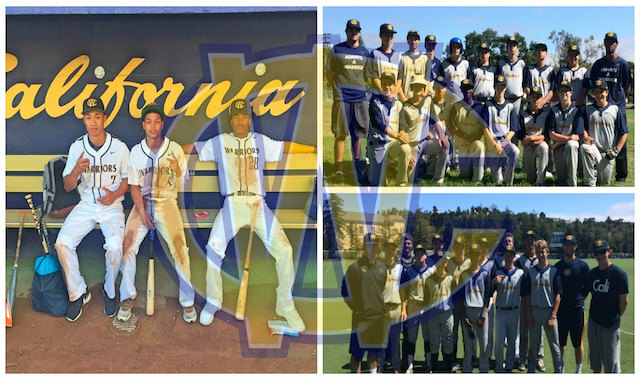 The California Warriors Gold Team is headed to Reno, NV this upcoming weekend to play in the Casey Yocom Invitational with high expectations for a successful tournament. The California Warriors are having a great start to their season. The student athletes are working hard, building leadership skills, and playing clean baseball. The combination of having fun, swinging the bats well, and playing great defense has allowed all three Warriors teams to start the season with a bang. The 16U White team went 3-1 this past week and has an overall record of 7-5. Led by coaches Ryan Burke, Cameron Merriweather, and Casey Levy Tulloch, this fundamentals building team is getting to know each other on the field and building a strong cohesive unit. The transition from BBCOR metal bats to Wood bats for the summer usually requires several adjustments, but the student athletes have adapted well and the offense is continuing to pick up each week. Jacob Berg and Keith Whittaker have led the way in hitting, while Alex Bires, Ryan Copeland, and Sean Henry have handled most of the pitching duties, attacking hitters, throwing strikes, and getting outs. On Monday June 22, the White team earned its 7th victory against Redwood, with an impressive pitching and hitting performance, leading to a final score of 7-1. The team will have a few days off before they head up to Reno to play in a wood bat tournament beginning Thursday June 25th and ending Sunday June 28th. The 18U Blue Team has posted a strong beginning to the season as well, going 3-2 this past week, and 7-4 overall thus far. The Blue team has played clean baseball, allowing just 3 runs in their last 3 games, thanks to solid pitching and defense. On Saturday, June 20th the Warriors held the Berkeley Buzz to 1 hit, and with some late game heroics, won the game on a walk off homerun by CJ Novogradac. Sunday June 21st, the Warriors Blue team took the first game of a 2 game series versus the Eastern Cats. Nate Kochhar pitched 5 scoreless innings against the Cats, and an early RBI by Sean Robinson provided the only run of the game. Alex Ritch came in for the final two innings and got the save. Monday June 22nd, the Warriors fought hard for 9 innings but ultimately fell to the cats 4-2 in the last inning. The Warriors Blue team now heads into the Zoots tournament, and we look forward to following their upcoming games. 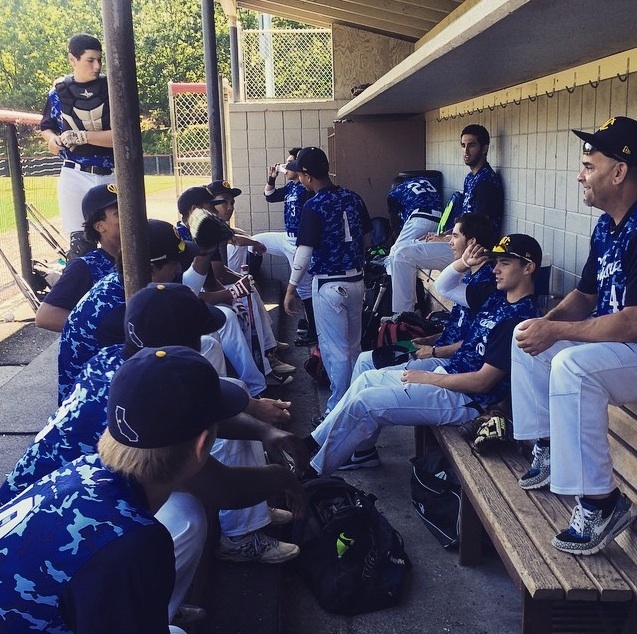 The 18U Gold team went 3-0 last week and has the best record of the Warriors teams at 8-0. All senior baseball players on the Gold team will be playing college baseball in the Fall of 2015. Tam High graduate Mason Collins has pitched extremely well, connecting with his high school catcher Patrick Shore behind the plate. Strong pitching performances from Jack Harris (another Tam pitcher), Nick Simonian, and Quinton Gago have combined well with timely hitting and defense. 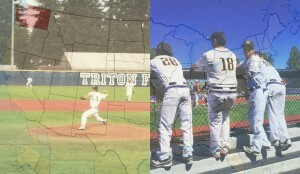 As the Gold team continues to roll, they head to The University of Washington on Thursday June 23rd for a wood bat tournament to play on one of the nicest college facilities in the nation. The Gold team will not only be exposed to some strong competition, but will be given an opportunity to work out in front of visiting college scouts. With such a strong and experienced coaching staff and a group of talented student athletes, all three Warriors’ teams are having an extremely successful summer season. The coaches reflect a professional attitude, respect the game, and have a good time playing and teaching our national past time. The student athletes will continue to enhance their baseball skills and will also work on their teamwork, self-esteem, and leadership skills. Try Out for the 2015 California Warriors! 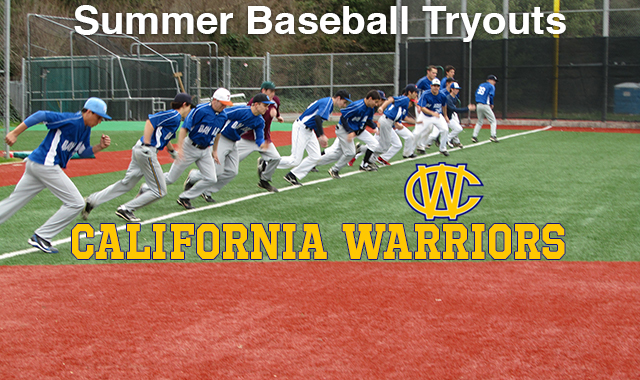 Tryouts for placement on the 2015 Gold, Blue, and White California Warriors teams are right around the corner! They will be held at Marin Catholic High School on Sunday, January 18 from 1:00 PM – 3:00 PM. This will be a Pro Style Tryout, including a 60 Yard Dash, infield/outfield, batting practice, and scrimmage. Attendance is mandatory in order to be placed on a team. After you fill out your form, please use the PayPal link below to pay the required $30 fee. List any allergies, medical concerns, and/or medications that our coaches should know about when traveling. Three years playing with the California Warriors has seen Kailen Robinson mature into an all-around offensive contributor. 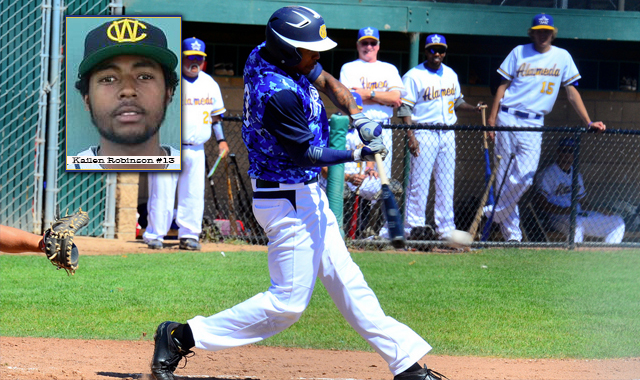 Robinson always had productive At-Bats, and got himself into position to score runs and help his team win. His .427 Batting Average over 103 At-Bats led the team. Over that time, he struck out only 7 times while walking 11 times. Once Kailen gets on, he’s a threat on the basepaths, stealing 13 bases and coming around to score 16 times. Defensively, he recorded 51 Put-Outs, 3 OF Assists, and did not commit an error. It’s hard to find an all-around great ballplayer, but Kailen fits the bill. Going forward, Robinson is transferring from College of San Mateo to Missouri Baptist University, where he will be a fixture in the Spartans’ lineup and is sure to make the Warriors organization proud. The 3-year Warriors veteran is an embodiment of what the First Base Foundation and California Warriors stand for – character, leadership, and personal development on and off the field. We wish Kailen the best, and congratulate him on winning the 2014 California Warriors Most Valuable Player award! For a full look at his summer stats, CLICK HERE.